Sometimes it seems Botox is a wonder drug, from its humble origins treating eye spasms to its famous wrinkle-relaxing abilities. As researchers continue to find new uses for botulinum toxins, including treating migraines and excessive sweating, they have discovered a new Botox application cardiologists may be interested in: atrial fibrillation. Atrial fibrillation is an abnormal heart rhythm, triggered by disorganized electrical impulses causing irregular heart muscle contractions. Given the relationship between atrial fibrillation and muscle contractions, it is no wonder researchers eventually decided to try the muscle-relaxing botulinum toxin on cardiac patients. For their double-blind study, researchers recruited patients in two Russian hospitals who had undergone bypass surgery. A total of sixty patients randomly received either Botox injections or saline injections in the four major fat pads around their heart. The researchers then looked at patient information one month and one year after surgery to see how they were doing. Luckily, there were no reported complications from the Botox injections, although both groups of patients had similar bypass-surgery complications, including infection rate and time spent on a breathing machine and in intensive care. In the first thirty days after their surgery, about seven percent of the Botox-treated patients experienced atrial fibrillation. However, in the group who received the saline placebo, thirty percent of patients developed atrial fibrillation. While one year after the surgery twenty-seven percent of the saline recipients had atrial fibrillation, none of the Botox patients had atrial fibrillation at that time. The study results seem to suggest Botox injections after a bypass can greatly reduce or even prevent atrial fibrillation. This is great news for heart patients who want to avoid the most common post-surgery complication. Although atrial fibrillation may not seem like a huge deal, with symptoms such as heart palpitations, chest pain, lightheadedness, and shortness of breath, or possibly no symptoms at all, the irregular heart rhythm can lead to blood clots, heart failure, stroke, or other complications, potentially life-threatening. While this is encouraging news for cardiologists, the study authors do caution that larger studies are needed. If these future studies confirm Botox's benefits for heart patients, these injections could some day become standard preventative treatment after heart surgery. 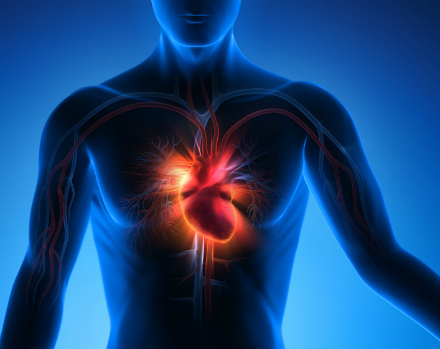 The researchers speculate the injections could also be helpful after valve repair or replacement surgeries, since currently about half of those patients later develop atrial fibrillation. This new atrial fibrillation treatment may have come just in time. A recent University of Oxford study found the number of heart failure cases in the United Kingdom is growing. Between 2002 and 2014, the number of new cases increased by twelve percent, even with modest prevention improvements and an increased onset age. Not only that, the researchers discovered the poorest residents are disproportionately affected, with a 60% increased risk of heart failure, and they are also likely to be affected 3.5 years earlier than those in the wealthiest neighborhoods. The researchers believe the increase in heart failure cases is because the population is aging, so the same thing is likely to happen in the U.S. and other high-income countries as their demographics shift. While the gap in heart failure risk between the rich and the poor did not close in those twelve years, the gap in age of onset actually did grow. The most affluent are being diagnosed at a later age while the most poor are being diagnosed younger. Although this study did not investigate the reasons why there is a heart health gap between the rich and the poor, they speculate it could be related to less effective use of preventative drugs in those who cannot afford the medication, the presence of other illnesses that may disproportionately affect the poor, or other risk factors such as smoking, diet, and blood pressure. Hopefully addressing the socioeconomic gap can help bring rates of atrial fibrillation down overall. Failing that, better treatments such as Botox injections may help those that do undergo bypass surgery increase their chance of survival. Doctor Medica sells injectable products such as Juvederm fillers, from Allergan, the makers of Botox. 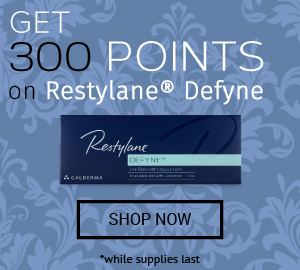 Visit DoctorMedica.co to learn more about wholesale injectables or place your order today.